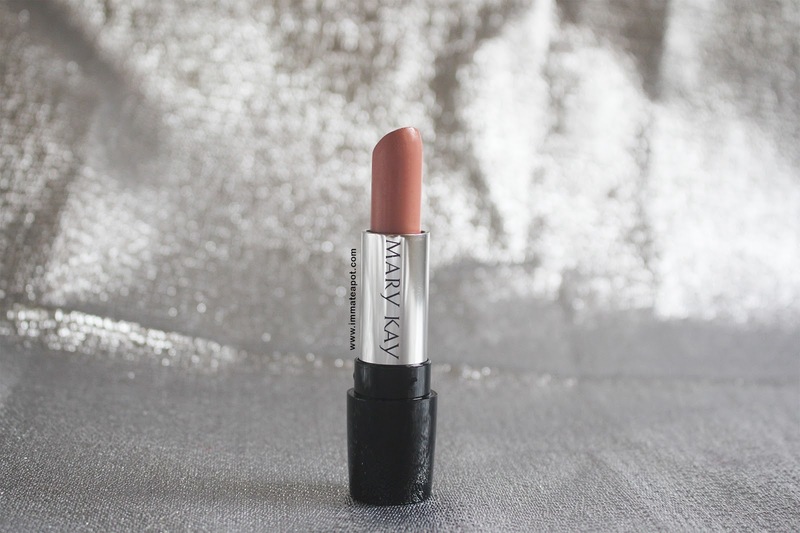 As a lipstick collector and makeup lover, how can you miss out the latest Gel Semi Matte Lipstick from Mary Kay? I am sure some of the you girls love exploring different lipstick brand, trying out amazing shades, as well as owning those lipstick with gorgeous packaging! I am so glad to share this good news with all of you that Mary Kay has introduced its new formulation lip stick - Gel Semi Matte Lipstick. It was created with the Advanced Cushion Matrix Technology that made use of the ultrafine silica microsphere and gel formulation, to deliver rich vibrant shades which can last for hours without leaving the lips looking and feeling dry! Besides, it helps smoothen the lips and blur out all the imperfections. Sunflower Oil and Jojoba Esters, helps conditioning and moisturizing the lips. It comes with a light refreshing citrus scent, in gel creamy texture, which is easy to be slide and glide on the lips, smooth and evenly. The texture turns from gel to semi-matte finish, yet leaving the lips hydrated and supple. It comes in a sleek black tube, with a look through panel on the top cover, which really helps in differentiating all the shades. Meanwhile, the overall packaging gives a classic yet modern touch with the silver crafted logo. 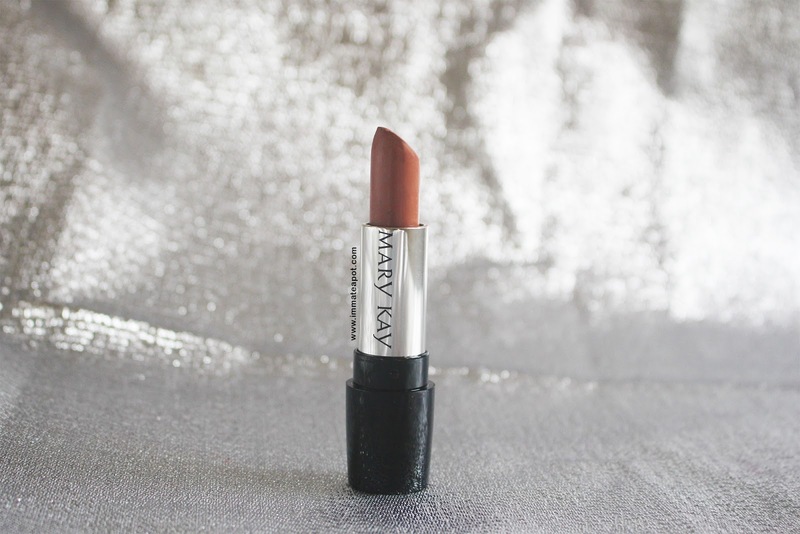 In this post, I am going to share 4 different looks pairing with 4 different shades from Mary Kay. 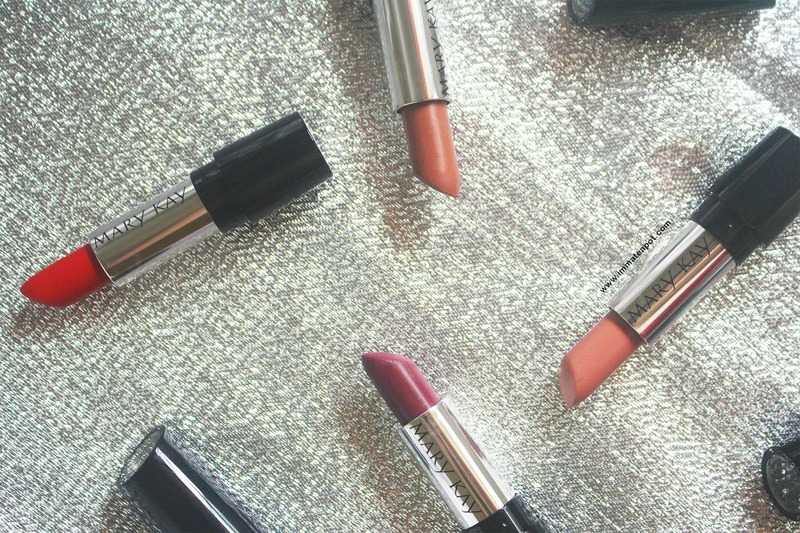 My all time favorite shades for night occasions - bold lips! 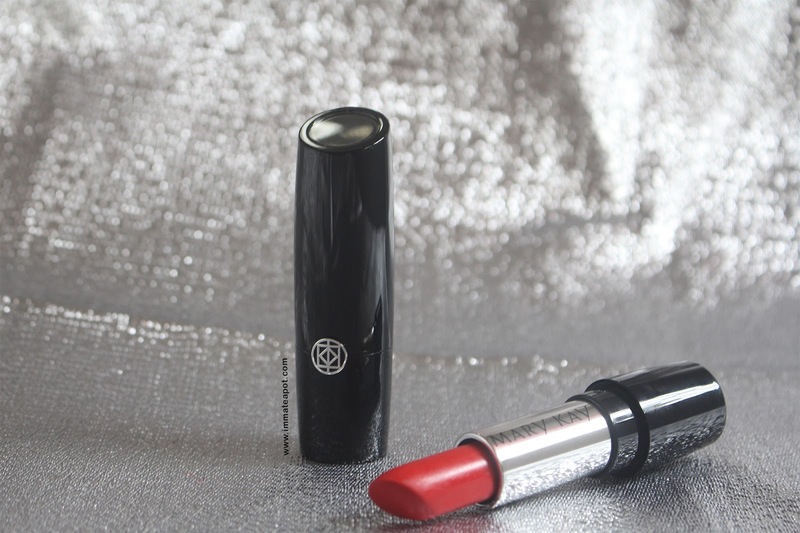 Mary Kay Poppy Please Just perfect for an oriental night look, best pairing with little dress in black, red or white. 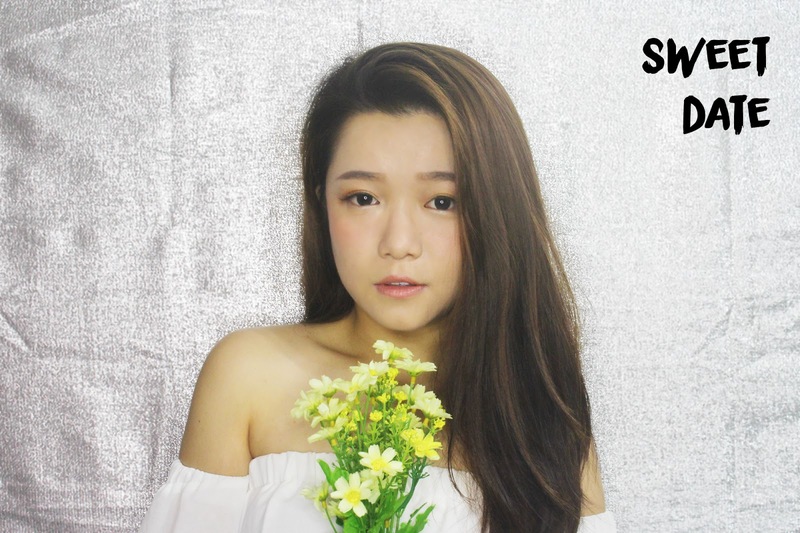 The overall makeup complete with brownish eye shadow, create a little smokey effect at the outer corner of the eyes, using both gel eyeliner and eye shadow. It helps elongate the eyes and gives an pure innocent touch. Beside, create a slight cut crease effect using the eye shadow from the wing of the eyeliner elongate to the double eyelid crease. Put on blusher heavily. The overall look is actually inspired by a Model from China - Zhang Xin Yuan. For daily casual look, you may go for a casual touch with Mary Kay Rich Truffle. This look is just perfect for a hangout with the girls! 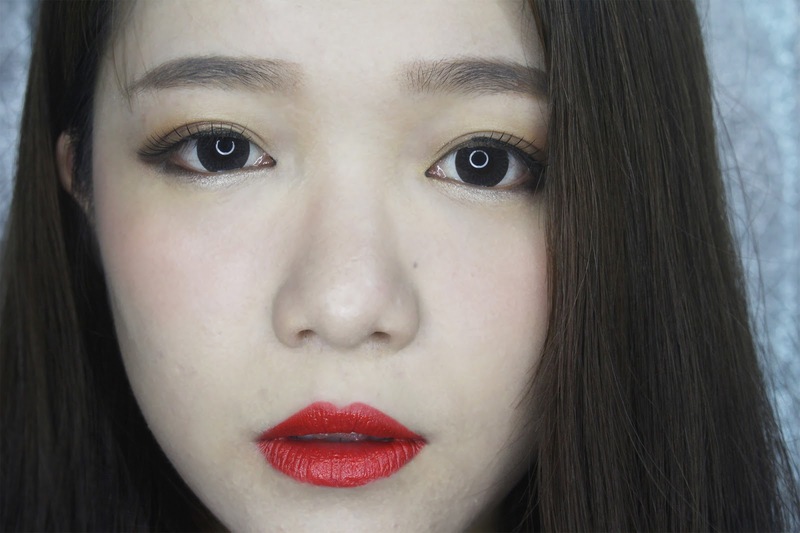 Shine among them with this Korean inspired look! The overall makeup look complete with a light brownish eye shadow with slight droopy effect created using eye shadow and eyeliner. 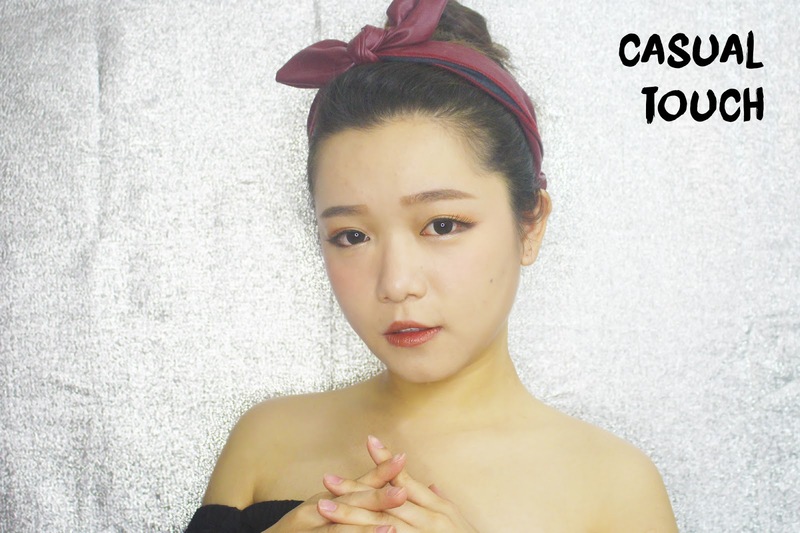 You may create some puppy eyes effect by highlighting your inner corner of your eyes as well as lower lash line with some silver white or pink eye shadow. Top up with the lipstick Rich Truffle to enhance the overall look. 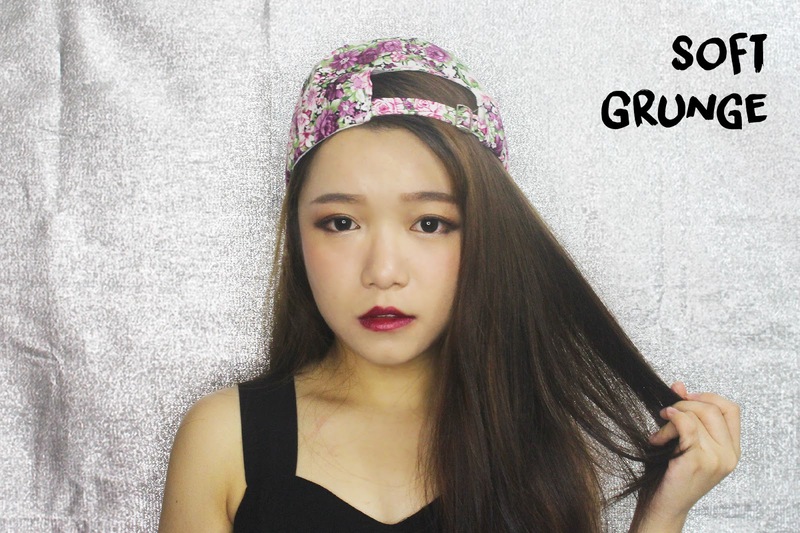 If you're going to attend a music festival or some sort of fun event, go for this soft grunge look with Mary Kay Crushed Berry. The overall makeup look complete with brown smokey eyes and strong contour. Remember to highlight your brow bone and cheek bone for this striking look! 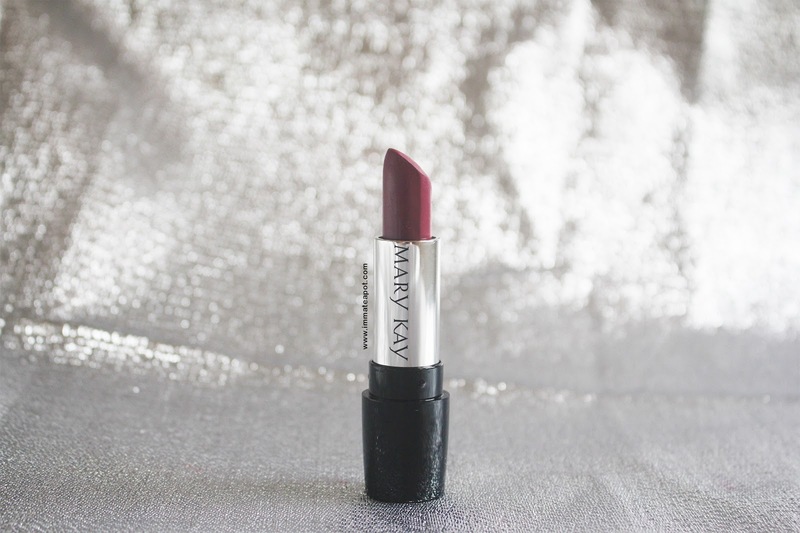 Last but not least, never miss out the dark lip shades for a grunge look - Crushed Berry, giving a hippie fun touch. If you're going for the very first date, remember to keep it as light as possible! Don't scare your admirer away with thick makeup! 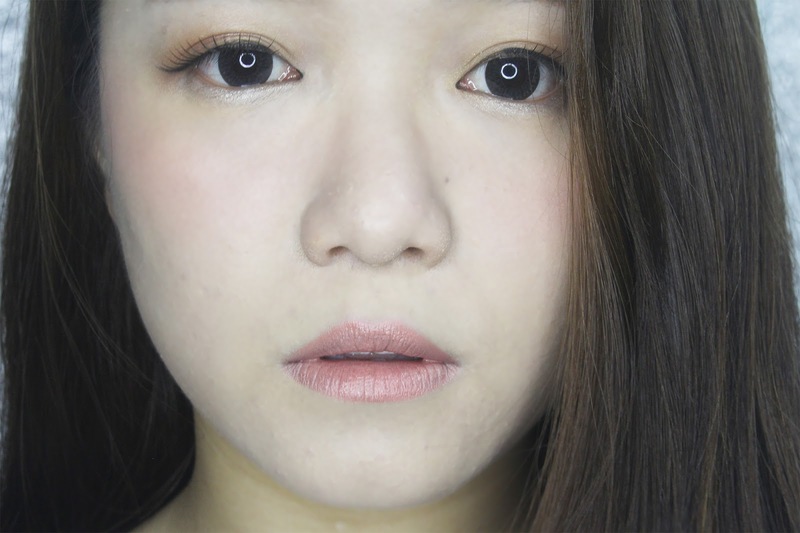 The overall look completed with orangish-peach eye shadow, without any strong eyeliner. Use a gel or pencil eyeliner to fill in your lashes will do! 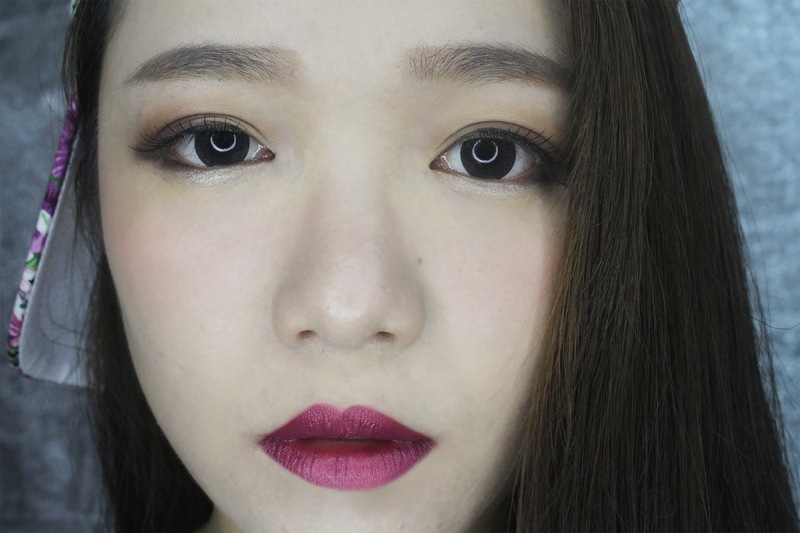 Inspired by the Japanese Igari Makeup, burning cheeks is the highlight! Top up with Bashful You for the pure innocent look for the first date! I love the shade Rich Truffle most, as it suits most of the occasions, I wear it all the time, like casual outing with the girls, daily working and even attending events. The gel formula makes the overall application so smooth and easy, takes around few minutes for a perfect glide-on and the shades pull off so well on the lips, vibrant and moisturizing. 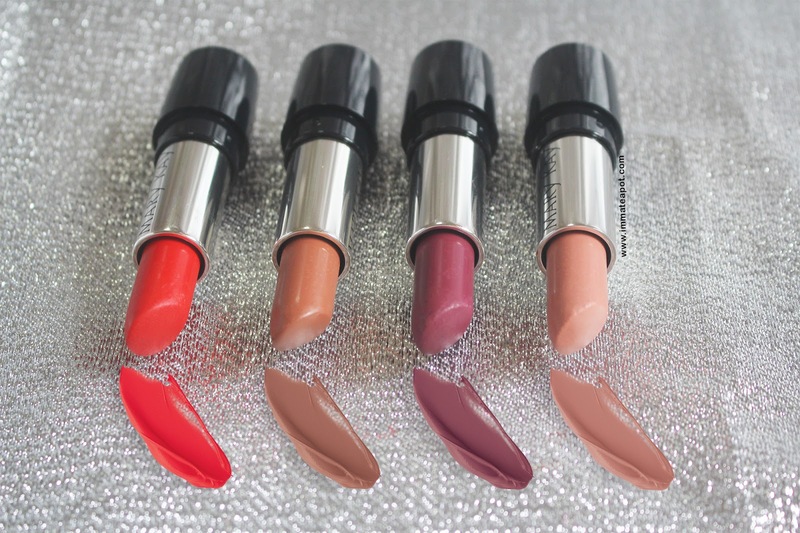 I have actually wore all the shades on different occasions, I was so surprised that they did last for few hours (with touch-up needed), with no cracks on my lips and my lips didn't dry up at all. I love how easily it can be removed with remover, without leaving any stains on my lips! Finally, the Mary Kay Asia Pacific 2016 Dream Beautiful Contest is now open! In its fourth year, this beauty contest is a regional makeover competition, celebrating the making of Asia's next modeling star, as well as makeup artist talent. With the vision of enriching the women's lives, this contest encourages women to discover their own beauty inside out, while achieving their dreams with Mary Kay. This competition involved nine countries across Asia Pacific, including Australia, China, Hong Kong, Korea, Malaysia,, New Zealand, Philippines, Singapore and Taiwan. The good news is, the winners from each country will be attending the Grand Finale in Hong Kong in March 2017! Contest begins from 1st July till March 2017.
i love the packaging! its elegant! and the last colour is nice! Nice colour range.. Mary Kay is a great brand.. I like their skin care! You so pretty! Love the no. 2 look so much and I love the eye make up. love the colours!! they look great on you! I love all the colors on you especially "Casual Touch" Very nice color they have. Would like to try next time. Really like the poppy please colour!! so bright and vibrant. Like the crushed berry too. wow...different style can use different colour of lipstick....i love the Shades Rich Truffle colour!! Wow!!! You look amazing in all the Colours!! Love the pink one the best! Really love the formulation of the lipsticks babe - and you look stunning in each of them as well :) The combinations are great - Crushed Berry looks lovely on you. Omg I love the Oriental Red shade on you. Its so demure and classy. look pretty as always. 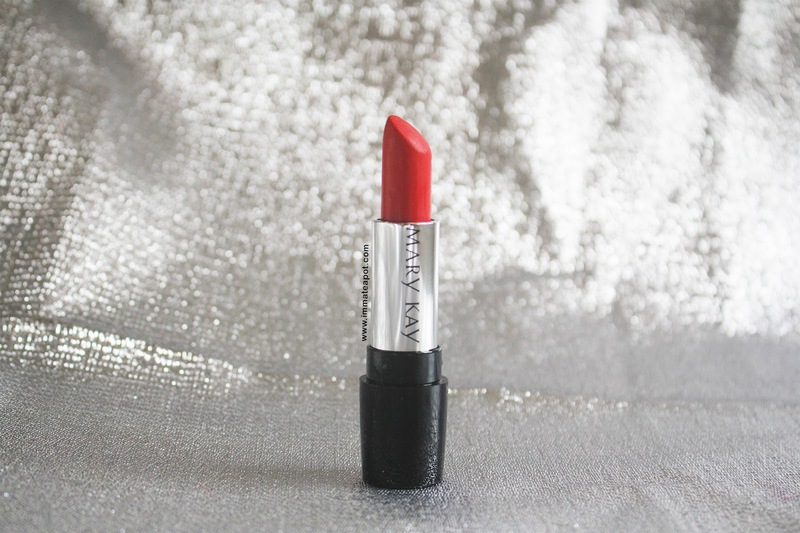 nice lipsticks from Mary Kay! thanks for the tips. 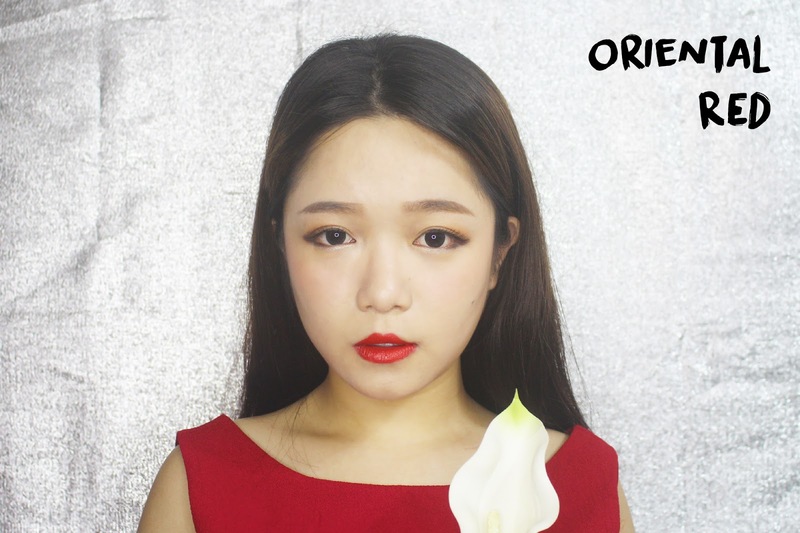 i love your oriental red look! My favourite is the rich truffle! Easy to match and classy looking. I like the Bashful You color and it suit for normal or light makeup. 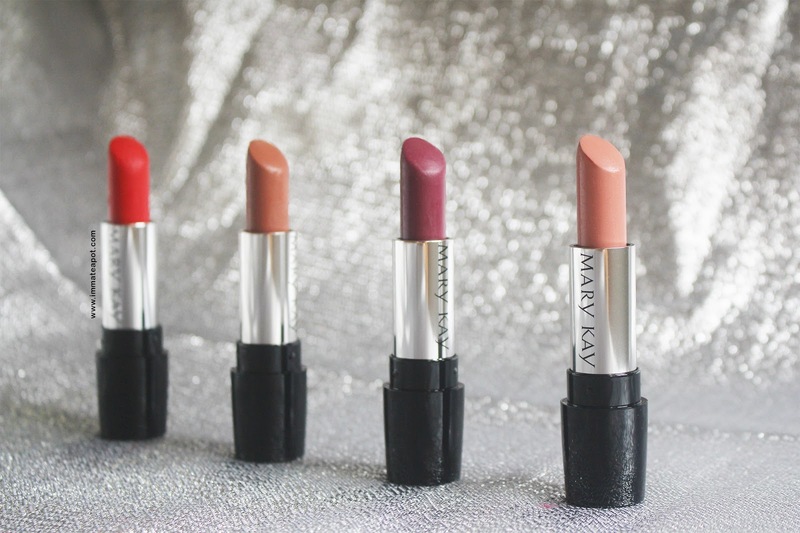 By the way, I love your dressing and how you match it with this 4 awesome lipstick colors from Mary Kay. still looks like the typical kind of lipstick instead of matte despite it being 'semi matte"